Is there something you have been thinking about doing? About creating? About sharing? David talked about his road to success and how he “ready – aimed – fired.” He knew he had something that the world needed the moment he thought about creating the BOSU – the half dome where you had both a stable and unstable surface. What have you been holding off creating – waiting for the perfect moment to fire? What is one step you can take this weekend to test out your idea? Take it for a trial run with your trusted friends and move it closer to the green light of go. 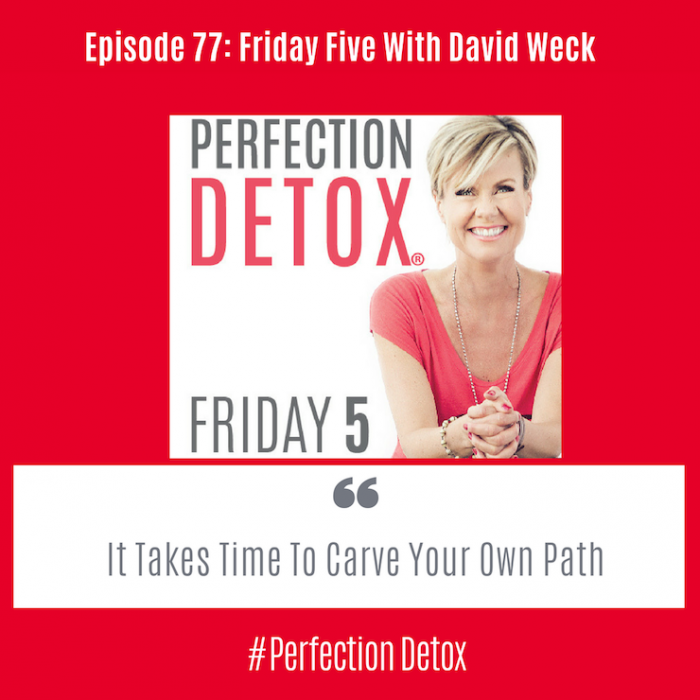 David talked about placing his product with influencers – way before the word influencer was a buzzword, David knew the importance of getting the buy-in of those he both respected and trusted. Is there someone you know, or even don’t know – whose “YES” to your idea or dream would give you the fuel needed to keep pushing ahead – even in times of uncertainty? Can you reach out to one influencer this weekend and put your idea, dream or thought plan in front of them to get feedback and or even a buy-in? Never forget ideas die in isolation and thrive in collaboration. Continuing our thoughts around doubts and FEAR I want you to consider and reframe your idea of what a successful person looks like. Success does not arm you against the trials and tribulations of real life. If anything, many successful people have risen from the ashes to get to where they are today. What is it that you are afraid of? What is hiding underneath your fear? So many of us are afraid to fail – but as you have heard me say before F.A.I.L – First Attempts In Learning. What would you attempt to do if you knew that failure was only a sign that you are stretching yourself, your edges and getting ready to take flight? David talked about us being more forgiving both of ourselves and then of others. Forgiveness does not mean letting people off the hook for doing unforgivable things in the past, but it does mean unhooking yourself from the negatives that lie in the past so that they do not affect your positive future. Who is that one person who you need to forgive to be able to move forward and create your positive future?